It’s been a month since Black Entertainment Television (BET) unveiled its first scripted drama, Being Mary Jane . The series centers on the complex life of Mary Jane Paul (played by Gabrielle Union), a successful broadcast news anchor whose personal and professional life is wrought with tension and drama. The man she loves was concealing a marriage and children. Her executive producer almost sacrificed an elderly couple’s lives for ratings. An ailing mother worries her. Mary Jane is a dimensional black woman navigating a complex life that includes triumphs and disappointments. While some black women identify with the character, others are deriding the show’s creator, Mara Brock-Akil, and BET for presenting a flawed black female character in media. Brock-Akil, who’s also the mastermind behind Girlfriends and The Game, says she is only presenting one black female’s life in Being Mary Jane. From the pilot episode onward, Paul’s plight has been presented as individual rather than collective. She is not a singular representative of all black female narratives. However, hopes for a perfect representation of black womanhood are heaped on shows like Being Mary Jane, Scandal, and Sleepy Hollow, because we exist in a media landscape where few black female characters exist — and many of those characters are mammies, jezebels, sapphires and welfare queens. Mary Jane's flaws — including her troubling relationship with a married man — are what make the program a gem. Yes, the title character has an enviable career, home, and car, but she's still confronting multiple difficulties personally and professionally. It is a narrative that is familiar for many black women, and Brock-Akil’s careful execution of Paul’s story and the supporting characters within it prevents Being Mary Jane from continuing pathologies of black womanhood that deem us incapable of having successful interpersonal relationships. Paul is not damaged. We are exposed to her reciprocal relationships with her father, mother, sister-friends, and coworkers, and those are images we’re often deprived of. Show runners, like Brock-Akil and Scandal’s Shonda Rhimes, are anchored to an inconceivable burden when writing black female characters: Since we’ve been deprived of black women on television for so long, one character has to be everything to every black woman. Not only is this unrealistic, but it also erases realistic narratives like that of Mary Jane Paul. 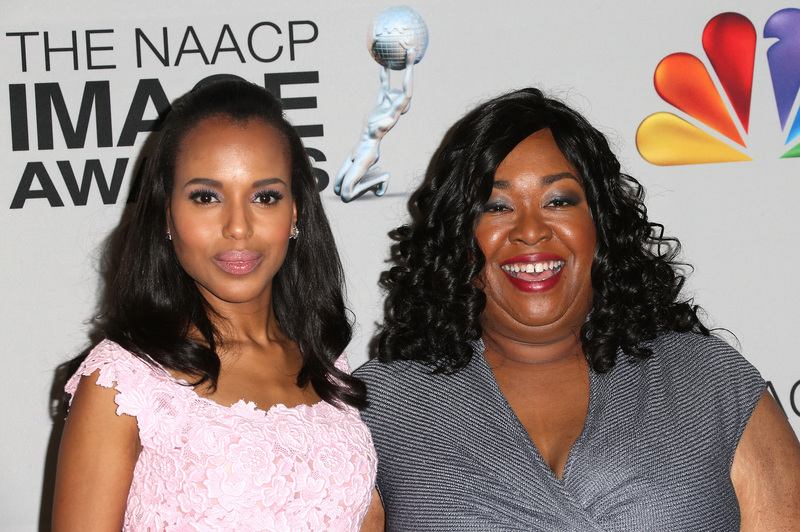 Critics conflate Mary Jane with other black female characters, like Scandal’s Olivia Pope. The need for a perfect model of black womanhood has manifested in a sudden pining for a replication of The Cosby Show’s Claire Huxtable. It is impossible to refute the importance of Claire Huxtable, portrayed by Phylicia Rashad. She was educated, career-oriented, and an amazing mother and wife. It is impossible to quantify the importance of her presence in a media landscape that often deduces black women to caricatures. However, like Paul, Huxtable’s life isn’t meant to be a representation of every black woman’s experience, and that should not be the expectation. What Being Mary Jane, Scandal, Sleepy Hollow, and other series featuring black female leads do is disrupt the location of a central black female experience. Having a multitude of black female characters in media allows for the presentation of multiple stories that resonate with some, but not all. There is no need to seek a singular icon — like Huxtable — when we have several dimensional black women characters to both relate to and learn from. Nuanced tales of black womanhood are important, and that’s what Being Mary Jane offers. Perfection is impossible, and placing that unreachable threshold as the plateau that Being Mary Jane must cross in order to earn the support of black women limits our possibility models. Black women deserve multiple depictions in media. Mara Brock-Akil, Shonda Rhimes, and other writers creating black female characters, are offering opportunities to see Mary Jane Paul, Olivia Pope and Abby Mills as singular rather than collective representatives. Seeing these characters as representatives of all black women is missing the point.